Ramrekha river, a perennial local river for hundreds of years, the lifeline river for the region, dried more or less seventy years ago. After facing few years’ droughts, local villagers started to request the government to resolve the water draught problem from the year 1952. People’s representatives always promised to get votes before the each election of the state assembly and national parliament, but even after passing decades after decades, there was no initiative. After some time the groundwater also dried in the region, as the result this area had been facing severe drought for more than twenty years until one year before. The development even preliminary never reached in the area. Because of preterition for decades, continuous drought and poverty, the local villagers started to move to insurgency activities. With the time, this very backwards region with no connecting roads and no other civilian facilities became profoundly affected by insurgency activities. These villages come under administrative areas of Gaya and Aurangabad districts of Bihar state. Due to rebel activities, many camps of government armed forces are in the region. One could see the threatening notice boards in the area by the various committees of insurgents. The First step towards "the transmutation"
In 2011, a delegation of farmers from the region visited the Gokul Social University, GSU, campus. These farmers said, even they would like to work on the ideas of cow and agriculture-based self-sustained economy, how could they because their villages do not have water? They have been suffering from severe drought for last more than two decades. The Ramrekha river dried around seventy years ago. The delegation had a strong wish the GSU should support them using local area mass strength for raising pressure on the government. The GSU suggested them for resolving water and drought issues with the constructive approaches by the community than being dependent on the government. Probably, those farmers did not understand the idea of self-sustainability that day, they left and did not come back. Though they did not contact, the GSU decided to move on. 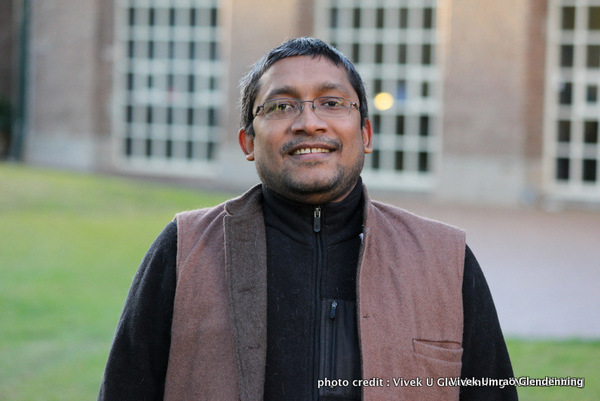 The Gokul Social University, GSU, embarked on the movement with preliminary discussions with local villagers. 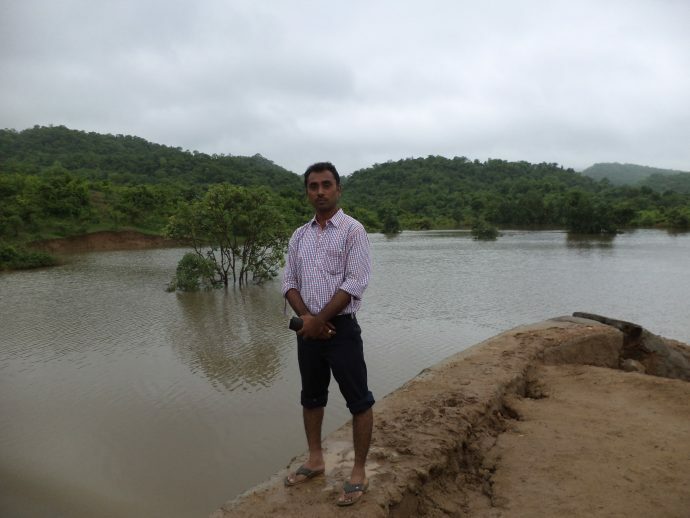 It took around four years, from the year 2011 to the end of the year 2014, to reach "the consensus” for building a rainwater harvesting, RWH, dam for the rejuvenation of the Ramrekha river also build a canal to connect villages with the water across the mountain. After the preliminary dialogue, the foot marches were started for determiner-dialogues to motivate also to get local people support. More than five hundreds mass meetings were organised in many villages in four years. The team of the GSU had dialogues with more than one hundred thousands people of two hundred villages in Gaya and Aurangabad districts in four years. The GSU led twenty-five thousands of people of around ten thousands of families of forty villages for more than two years to build the RWH dam, also building the Ramrekha canal passing through the mountain to irrigate villages. 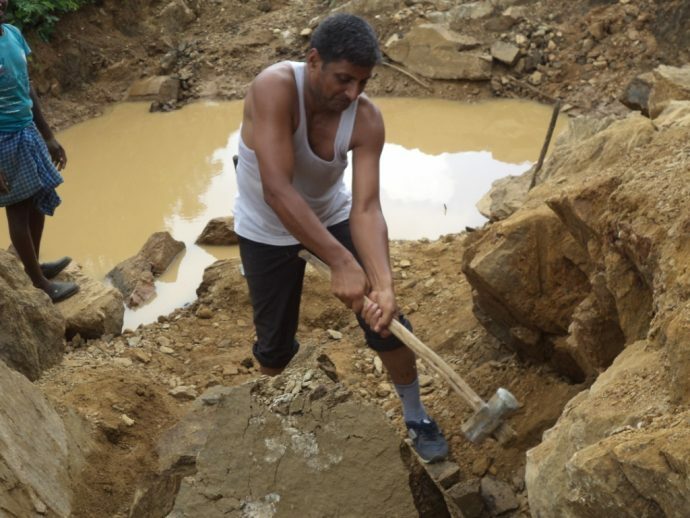 The easy path, building the RWH dam at the foot of the mountain, no need of constructing a canal passing through around two kilometres in the mountain. Input: comparing with building a canal through the mountain negligible physical labour, much less financial assets, much less mass involvement. Output: much less catchment area, less groundwater storage, less surface water storage, no rejuvenation of the Ramrekha river, no reach of water to irrigate many villages. The hard path, building the RWH dam on the mountain’s largest catchment area, the definite need of constructing a canal passing through around two kilometres in the mountain. Input: enormous efforts, finances, willpower, mass involvement and the tireless continuity with patience. Output: vast catchment area, high groundwater storage, large surface water storage, the rejuvenation of the Ramrekaha river, big reach of water to irrigate many villages. The continuous dialogues by the GSU had created the big momentum, the deeper social bond and the greater vision to solve the water problem to make the life better. No one considered the easy path, and the hard path was chosen unanimously. On 31st December 2014, the day first, the thousands of financially weak but strong-willed villagers accepted the challenge of a big rocky mountain. 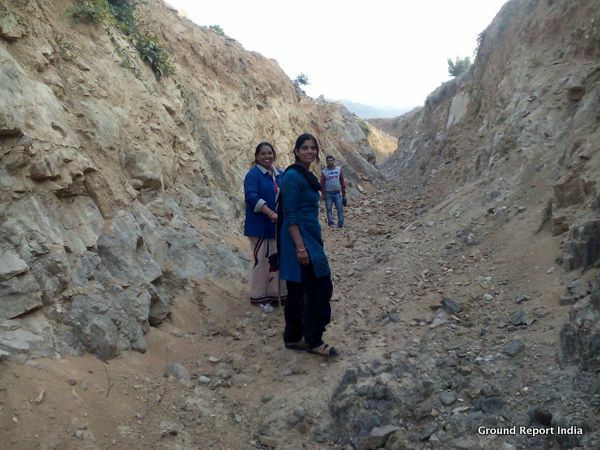 It was almost impossible to dig heavy rocks by bare hands using spades, big hammers and other traditional tools, but they built two kilometres long, twenty-two feet deep and seventeen feet wide Ramrekha canal. One and a half kilometres of the two kilometres canal is an open tunnel through the mountain. Around two thousand people worked maximum in a day. Around one thousand people worked per day for two months. And on an average, around one hundred people worked daily for around one and a half years to dig the canal through the mountain. Hundreds of people carried water many weeks from long distances. The water was used for softening the grips of rocks. More than twenty-five thousands of people contributed very hard physical labour with around five hundreds thousand hours to construct the canal and the RWH dam. Although the Ramrekha canal was ready for use in the month of June in the year 2016, because of the massive water storage and rejuvenation of the river, to irrigate more villages the works of widening and lengthening the canal are still going on. Total forty thousand people supported the cause financially including twenty-five thousands of people who contributed to the cause by physical labour also as well as with finances. Poor people felt the strong social bond for the purpose even though they were not from the beneficiary villages. For example, a poor street cobbler donated the total income of few days. 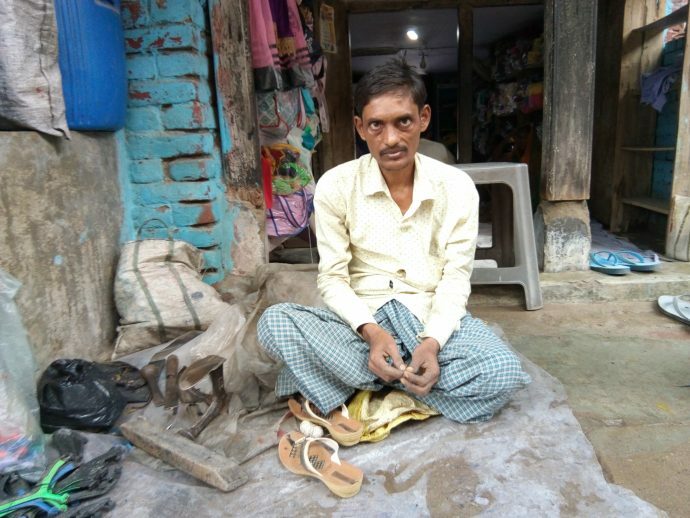 He does not own any shop; he sits outside of a shop, also not from a beneficiary village. The total construction cost of the Ramrekha canal including human labour was around 600,000 USD (0.6 million USD). No penny from any funding agency, any NGO or any government department. All finances were supported by the local people. The constructions of the Ramrekha canal and the RWH dam were completed almost simultaneously although the dam construction was started many months after the canal. The total construction cost of the Buda-Budi dam including human labour was around 150,000 USD (0.15 million USD). 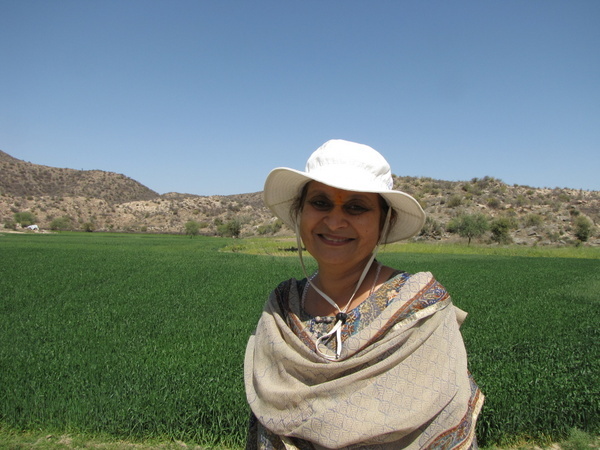 Only around 40,000 USD, supported by Amla Ashok Ruia from Mumbai, a philanthropist and water social-entrepreneur. 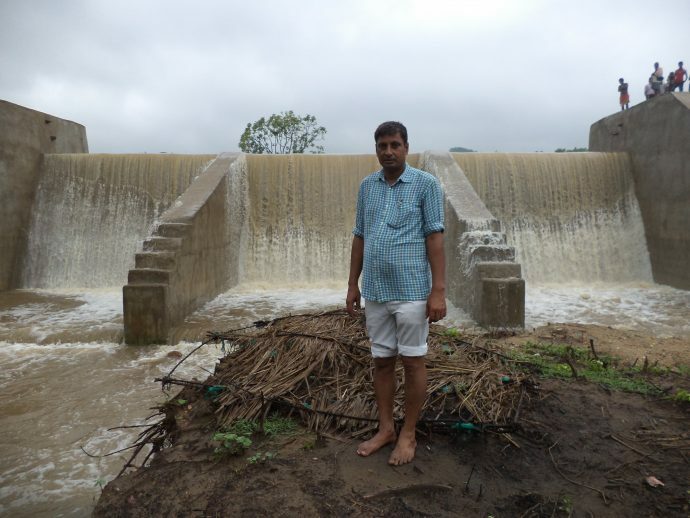 The Buda-Budi dam is at Chhakarbandha, Dumariya block, Gaya district and the Ramrekha canal starts at Chhakarbandha and goes to Dev block, Aurangabad district in Bihar. After many decades, now the Ramrekha River flows having water, the whole year. Annual income increased of villages in the first year = 10 Million $. Irrigated agricultural land = 25,000 acres. More than 10,000 farmers families are directly benefited. More than 200 villages are significantly benefited with the groundwater level. The insurgents are returning to the mainstream.